People were giving thanks for the beautifully decorated sanctuary at St. Paul’s this Thanksgiving. 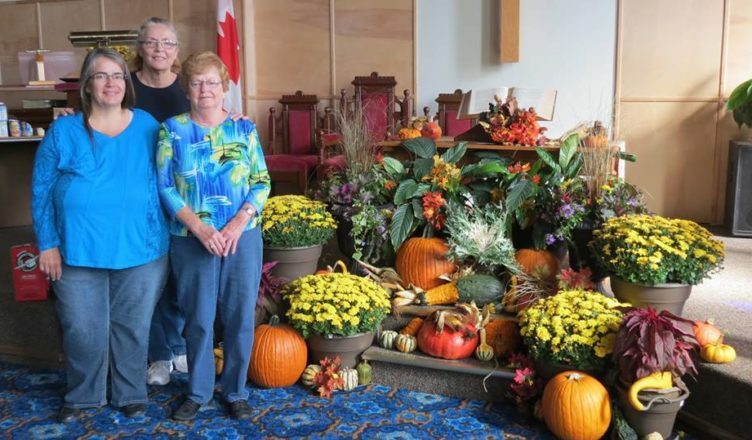 It’s the handiwork of these talented members of the decorating team: Leslie Claxton, Colleen Dibb and Bea McHale. The Presbyterian Record2019-02-12T11:09:23+00:00December 1st, 2016|Categories: People & Places|Comments Off on St. Paul’s, Kemptville, Ont.